The kerberos SSPI package generated an output token of size 3888 bytes, which was too large to fit in the 2e00 buffer buffer provided by process id 0. If the condition persists, please contact your system administrator. Windows cannot determine the user or computer name. (). Group Policy processing aborted. Turns out, Kerberos is the culprit. GPO processing aborted because their Kerberos information exceeded the maximum Kerberos token size. This problem may occur when users belong to (too) many groups (.. don’t ask). In addition, memberships coming from SIDhistory are also added to the token, roughly doubling numbers. After a restart, all problems were gone. This isn’t a standard GPO setting; when required, you need to create an .adm GPO template yourself which is described in KB article 938118. Hope you’ll find this information useful to keep in mind when performing your ADMT scenarios at clients with excessive group usage. 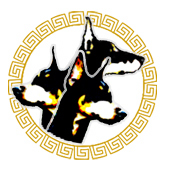 This entry was posted in Active Directory and tagged AD, ADMT, Kerberos by Michel de Rooij. Bookmark the permalink. We’ve run into the same issues. Did you apply this to the workstation or server? Were there any visable knock on effects of increasing the token size? Increased logon times ? No, but why bother investigating. The increased token sizes are only caused by Sidhistory; in time, post-migration, ACLs should be migrated too and you lose the “old domain” SIDs from the token. It should be functional; not increasing the tokensize results in non-functionality so thats a non-option IMHO. Many thanks for your information. What is the effects others system enviroments change registry value ? Do you have any experience for this issue ? No negative effect observed, except for bit bigger requests.